Only a small percentage, however, of recorded murders are adaptable to fiction plots. A study of the causes of real murders is useful, if one has discrimination in choice. Having decided upon our characters, our crime, and our weapon, let us consider next the motive for the crime. Of course in all crimes except murder, the motive is obvious; for who would commit a robbery except to obtain the booty? Who would commit arson except with the intent of destroying property? But in a murder story the motive is one of the principal parts of the mystery. It has been said that there are only three motives for murder: money, love and revenge. While this is true in a general way, there are many other specific motives. In Mr. 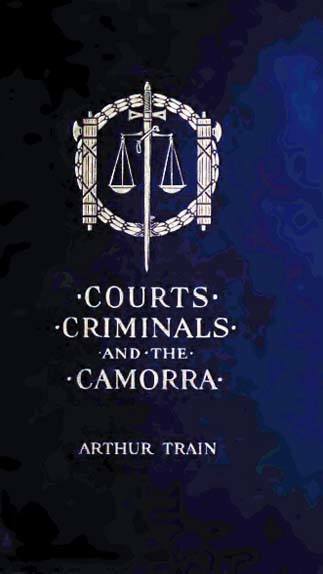 Train's book, "Courts, Criminals and the Camorra," there is a most interesting chapter devoted to this question of motive. Though it is impossible to quote it all, we will refer to his published record compiled by a man who had been trying murder cases for ten years. Several pages tell the details of the record, but a concise summing up is also given. We are told, "Out of the sixty-two homicides recorded, there were seventeen cold-blooded murders, with deliberation and premeditation; three homicides due to negligence; five committed while perpetrating a felony; thirty-seven manslaughters, due in sixteen cases to quarrels, thirteen to drink, four to disputes over money, three to women, one to race antagonism." A further classification is given, and the whole chapter, indeed, the whole book, should be read by every writer of detective fiction. The motive in fiction must be picturesque if possible, and interesting in any case. We care little what ruffian murdered another in a back alley; but we are intensely curious to know who killed Mr. Leavenworth or the Widow Lerouge. The most interesting motives are doubtless money, love and revenge; but the ramifications of these include hate, jealousy, greed, safety, ambition, inheritance and many others—in fact, the whole category of human emotions. Occasionally there is what might be called a freakish motive, such as the homicidal mania of The Whispering Man; or the curious motive of the criminal in the "Big Bow Mystery." But these are sporadic instances. The soundest motives are the best, and in most cases the soundest are the simplest. Murder is the result of one of the most primitive impulses in man; and though the working out of the plot may be subtle, it is wise, so far as is possible, to have the motive simple, straightforward and strong. If consistent with the plot, let the motive be of recent date. It is annoying to discover at the end of the book that the motive is retaliation for a wrong done thirty or forty years ago, as in "A Study in Scarlet" or "Hand and Ring." These, otherwise perfect and really great detective stories, finally reveal motives which could not possibly be discovered by the reader, however much he might guess at them. Let the motive be as carefully concealed as you like, but offer adroit hints and veiled allusions that the astute reader may catch if he can, and when at last the motive is revealed, let it be a logical and sound one, and, above all, let it be adequate.